We hope this page will provide reassurance that your personal information is securely protected. Our payment area is secured using industry standard Transport Layer Security technology (TLS). You'll know when you enter this area by looking for indications in your browser. Look for indicators such as lock symbols or different colors in the address bar. You'll also notice that http:// is replaced by https:// (the 's' standing for 'Secure'). Secure Sockets Layer, SSL (or Transport Security Layer, TLS, as it's called now), is the standard security technology for creating an encrypted link between a web server and a browser. This link ensures that all data passed between our web server and your browser remains private and secure. This system is used by literally millions of websites worldwide to secure internet transactions between the server and the customer. What happens to my credit card information after I place an order? We don't store your credit card information on our website, helping make your information more secure. All electronic payment information is handled via our payment service providers, either Authorize.net or PayPal. Our SSL certificates are provided by a leading certificate authority, Comodo CA. Comodo CA is fully Web Trust compliant, meaning that their business practices and processes have been rigorously audited to CPAC (Chartered Professional Accountants of Canada) guidelines by an independent approved auditor (KPMG). Comodo CA provides Extended Validation (EV) Certificates. Apart from the highest level of data encryption, EV certificates validate that a company is a legally accountable organization with articles of incorporation. To qualify to receive our SSL Certificate from Comodo CA we had to validate our company in order to satisfy them that we are a legitimate business. We had to prove not only that we own this web domain, but also that we are a legally accountable corporation. We believe that only by seeking this level of validation can you have peace of mind when buying online. 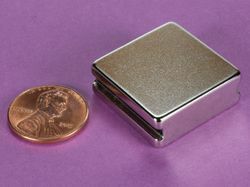 To find out more about SSL or Comodo CA, visit www.comodoca.com. As of June 2017, the Payment Card Industry Security Standards Council (PCI SSC) prohibits the use of older versions of SSL/TLS when carrying out credit card transactions. 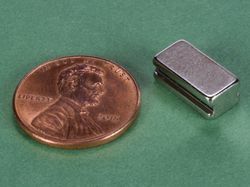 Consequently, K&J Magnetics's payment processors now require all online purchases to made through a connection secured by at least TLS 1.2. Older internet browsers, like Internet Explorer 10 or lower, do not support these updated security protocols. 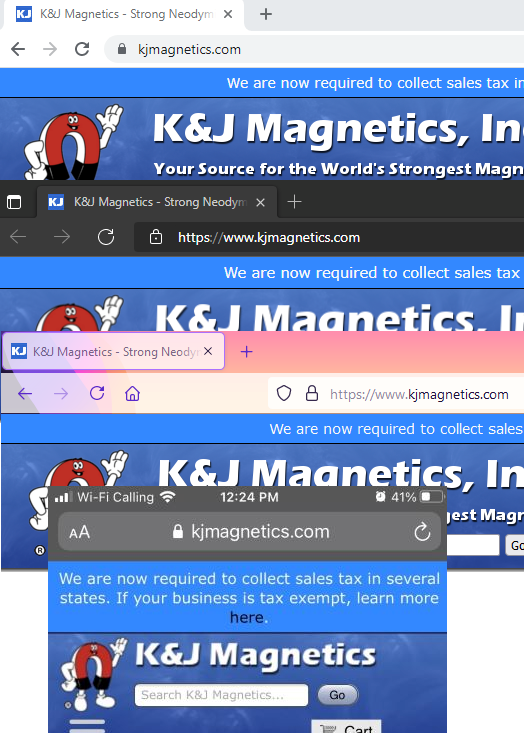 To comply with these new standards, K&J Magnetics will no longer allow purchases to be made through the site using these older browsers.